If the ultimate in relaxation is your goal when visiting Namibia, you may be interested in incorporating some pampering at a luxury spa into your break. Perhaps a relaxing massage is not enough for you and you seek a more comprehensive and holistic approach, where everything at your resort of choice is focussed on your well-being and health. Either way, you will find what you need in Namibia. Spoil yourself while you are in town, Windhoek offers several wellness centres to revitalise the weary traveller. 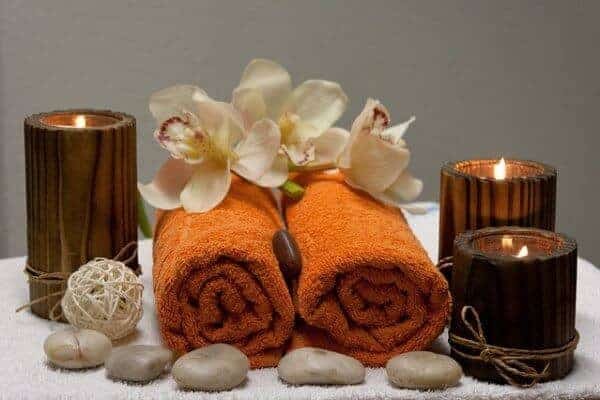 Lap up the water-based treatments at Diplomat Spa, take a time-out with a massage at the Kalahari Wellness Centre on the roof of the Kalahari Sands, or pop in to Oukolele Day Spa to sample their range of facials massages, body wraps, and beauty treatments. There are a few wellness resorts in Namibia that offer total immersion in the wellness experience. This luxury 6 000-hectare game reserve close to Windhoek is dedicated to providing guests with the real deal when it comes to the ultimate in rejuvenation. Start the day off immersed in tranquillity on an early morning game drive. These incorporate uplifting sightings with a running commentary on the mysteries of the reserve and include a healthy meal halfway. During the day, the many delights of Gocheganas Wellness Village beckon where you can indulge in a top-class range of treatments, products and services. Withdraw into a sanctuary of inner calm with a crystal or hydrotherapy bath or Vichy shower. Get energised at the gym or heated indoor pool and then relax in the cave sauna or at the juice bar afterward. Natural hot springs add extra indulgence to a stay at the Ais-Ais Hot Springs resort in the Fish River Canyon Nature Reserve. A soak in these healing waters soothes aches and pains and is just what the doctor would have ordered for stress relief. Ais-Ais features thermal baths as well as indoor and outdoor pools. You can use up your newly found energy on walks and hikes or with a round of tennis. Located close to Etosha National Park, this 21 000 ha private reserve was the first luxury wellness centre in Namibia. The resort comprises a sauna, steam room, Jacuzzi and 5 treatment rooms, including one in the open air for relaxing treatments with a view. Plan a sumptuous wellness experience during your travels to Namibia that fits in with your particular idea of what a spa experience should be.